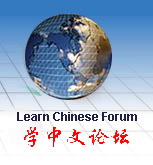 Chinese rapid listening is for non native Chinese speakers to understand Chinese in a very short time. The series include five levels – beginner, elementary, improving, intermediate and advanced. This intermediate course is the fourth level, intended for the students with a vocabulary of 2500 words. It has in total 12 lessons, including such more complex communicative items as marriage, education, law, industry and computers. Each lesson is divided into two parts: short text, and dialogue discussion, aiming to train students’ ability to listen and understand long paragraphs. This series can be used for both classroom teaching and self-learning. This order is for 1book and 3tapes (Intermediate) together.